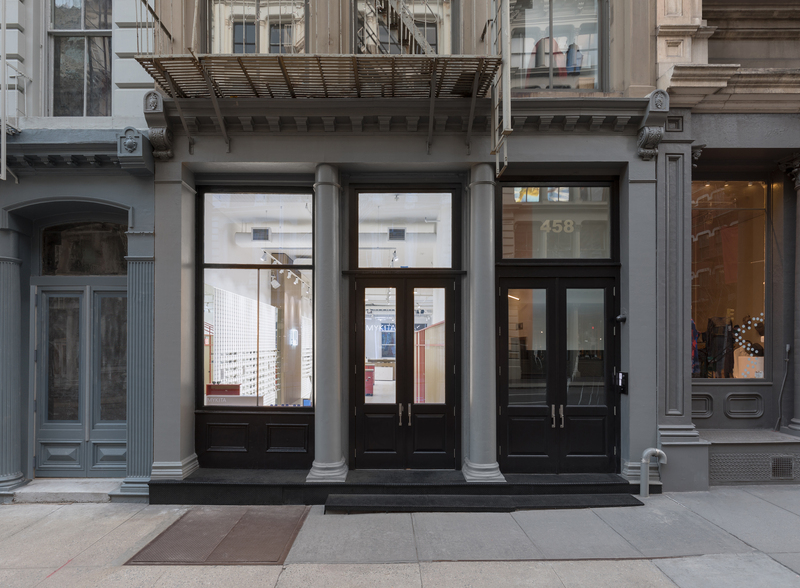 458 Broome Street New York 10013 – Situated in the heart of Soho, the MYKITA Shop New York is a two-floor space with ample room to present the complete portfolio of eyewear and optical services. 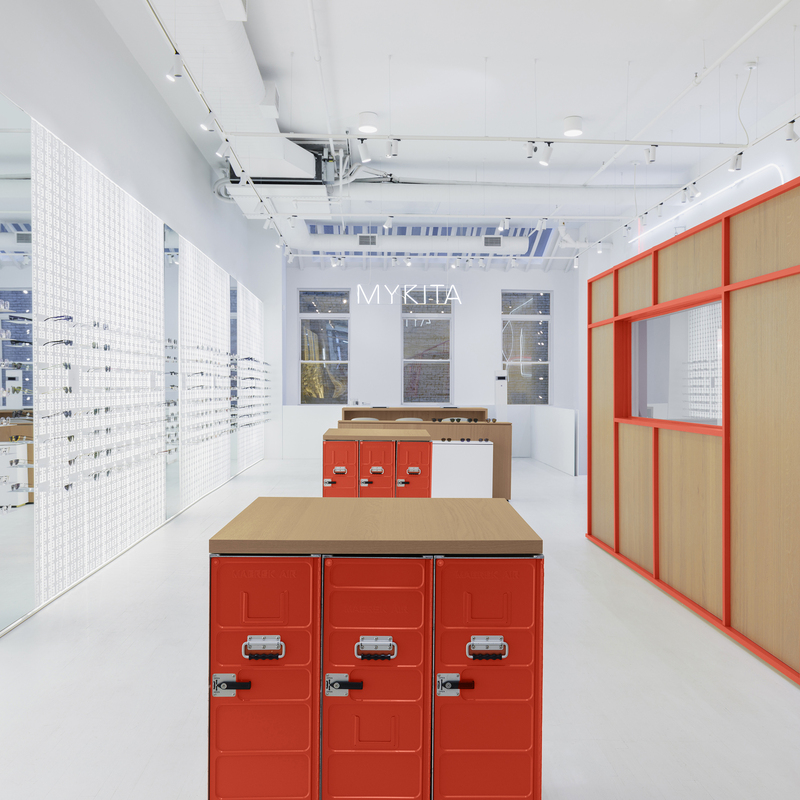 Entering the classic Soho building, visitors step into an elongated room with the iconic MYKITA WALL presenting the eyewear collections along the left side of the room. This industrial vibe is balanced by rust-red colour elements throughout and oak wood panelling along the right wall, which also houses the in-store lab. 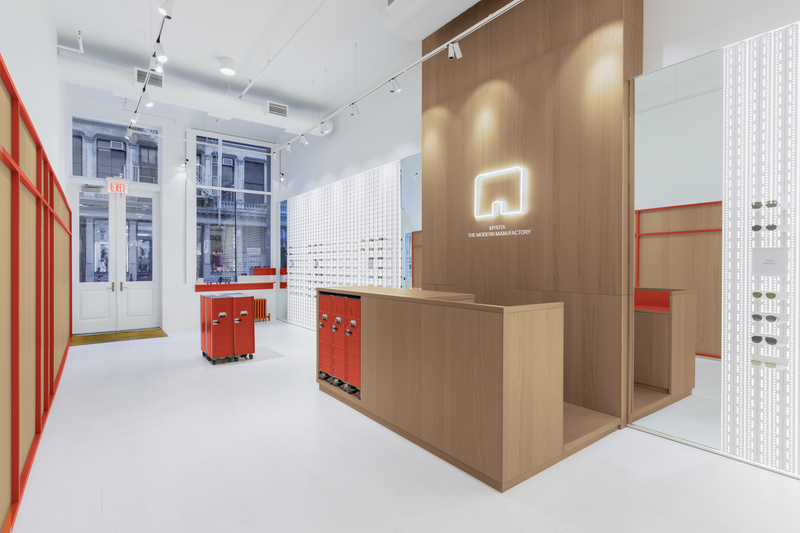 The shop interior is the first to allow a full view into the optical lab and workshop – the combination of handcraft and high tech that defines the Modern Manufactory now comes alive in the shop environment. The fully equipped laboratory provides a comprehensive optical service for customers, including lens cutting, adjustments and repairs.